"Nature Conservation is a state of harmony between men and land." 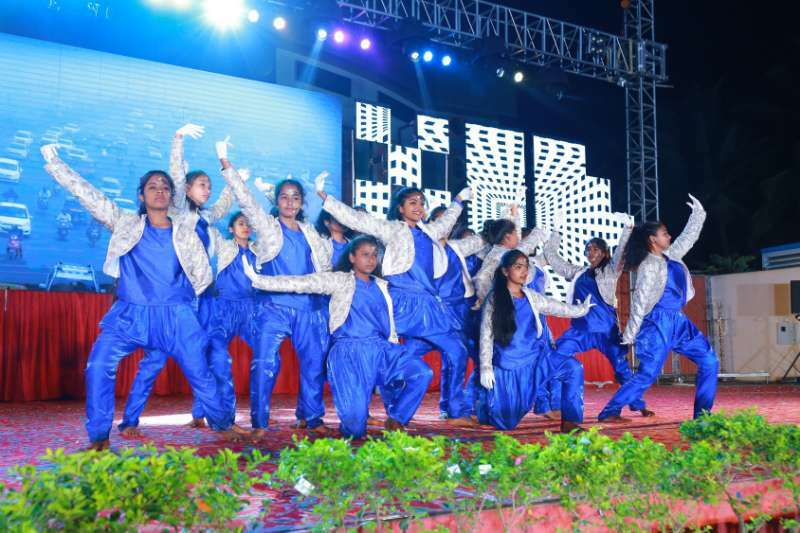 The awe - inspiring 31st Annual Day was celebrated on December 8, 2018 in the school ground. Dr. S. Y. Kulkarni, Vice Chancellor of the prestigious REVA University was the esteemed Chief Guest, Mrs. Ruchika Rocque, University Recruiter at Microsoft India Pvt limited was the Guest of honor and Rev. Fr. Benny Matthew, Manager, SCES presided over the gala event. Our dignitaries were accompanied by a panel of eminent guests. This year's theme - 'Heal the World' was a small initiative to create awareness for saving our planet which is massively destructed by human carelessness. The theme was brought to life by breath taking cultural performances by around thousand students from nursery to class X . The proficiency and sports achievers were also felicitated for their extraordinary performance in the previous academic year. The entire galaxy of guests was spell bound after every performance and their loud applause was deafening. The cherry on the cake was 'The Flash Mob' at the culmination of the event which featured the signature song - 'Lean On'. This extravaganza has definitely left a mark on everyone's heart and helped create an awareness towards environment conservation.